HCPT 101: We need Easter Eggs! 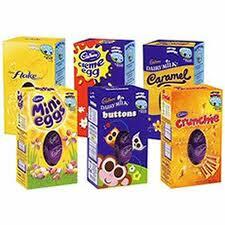 As part of our fundraising efforts at this years Spring Fair, we are holding an Easter egg tombola. If you could help our cause by donating an Easter egg, please pass it on to Marge and Phil or a Group 101 helper. The Spring Fair will be our last fundraiser before the Easter pilgrimage and we want to make as much money as we can to help the children of Doncaster. Please help us if you can!